Srinagar: Over 10,000 students from various private schools in Surat are expected to take an oath to never marry without the consent of their parents on Valentine’s Day Thursday. The idea was proposed by city-based laughter therapist Kamlesh Masalawala, who runs ‘Laughter club, Crying club’ in Surat. Masalawala is also associated with several educational institutions in the city, The Indian Express reported. “I got the idea while counselling youths. They would come to me with problems like their parents are against them marrying the person they love. I am not against the love affair, but I counsel them with appropriate reasons. I explain the importance of family and of the devotion they should have for their parents. The parents will compromise and agree to their match but they would get hurt in the process,” Masalawala said while speaking with The Indian Express. As part of the oath taking, the students on Thursday will recite eight lines of a poem written by city-based child psychiatrist Dr Mukul Choksi, who is also a poet. Masawala had contacted trustees of various schools to propose the idea who all showed their support. “Around 20 schools have confirmed their participation. The ceremony will be held as per school timings in the school premises. The school authorities will make videos of the event which they will later hand over to us. We will later organise a program to felicitate school trustees and principals. Our message is that students should marry partners suggested by their parents. 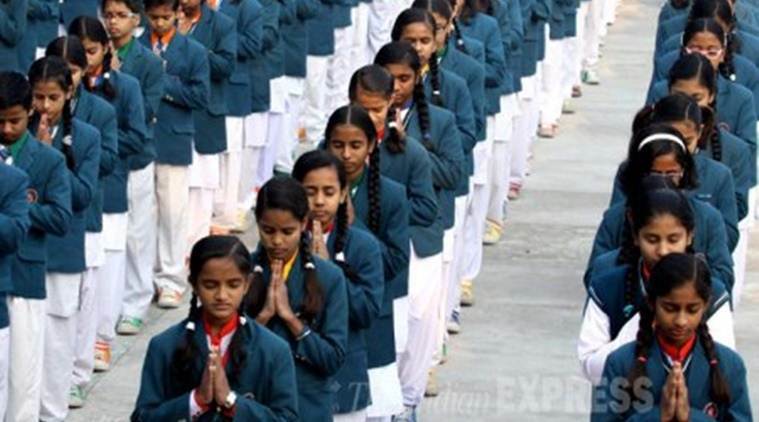 We are hoping that over 10,000 students will take oath on Valentine’s Day,” Masalawala said. The school administrations have asked the participating students to memorise the poem for the oath taking on Thursday. “I have proposed that students aged 17 and above should participate in the event. It is not compulsory, those students who do not want to participate are free to take their own decisions,” Masalawala added. Youth Nation, an NGO, working for youth related issues in the city, is also collaborating with Masalawala. Vikash Doshi, who runs the NGO said, “Kamlesh Masalawala has been associated with our organisation. When he shared his idea, we decided to support him. Students from over 20 schools will participate in this event. The motive behind the event is that the students will take oath to marry as per the wishes of their parents. We want to generate awareness. It is upto the students to follow it in the future or not.” One of the schools participating in the event is Radiant English Academy School, which has two branches in Surat.